In 1990 Image produced "Looking East", a pioneer manifestation of photographic art from East Europe. 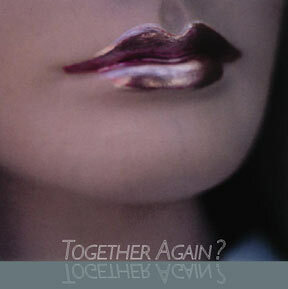 Today, Galleri Image welcomes you to "Together Again?" - an exhibition of the young generation of photographers from Estonia, Hungary, Latvia, Poland, and Slovakia. Cover of the exhibition's catalogue edited by Beate Cegielska and Saul Shapiro. Photo by Maurycy Gomulicki. "Together Again?" - 10 years after the fall of the Berlin Wall - mirrors this past decade by creating a precise and conscious picture of contemporary photography from these countries. The purpose of this exhibition is to reflect upon the rhetorical question, "Together again?" How have political and social changes influenced this new generation of artists? Does contemporary East European photography still reveal common elements from a common history? Does this new art reflect common values and cultural consciousness rooted in the new postcommunist reality? Has the new social and political situation erased the common national traumas and left a tabula rasa where the only common trait is the fact that all of these people are artists who come from a certain part of Europe? Mari Sobolev, Blackhead Gulid Galleri, Tallinn, Estonia. Tibor Varnagy, Galleri Liget, Budapest, Hungary. Vilnis Auzins, Museum of Photography, Riga, Latvia. Marek Grygiel, Centre of Contemporary Art, Warszawa, Poland. This exhibition is dedicated to Urszula Czartoryska, her vibrant spirit still with us. Galleri Image ©1999 Toldbodgade 8, 8000 Aarhus C, Denmark.